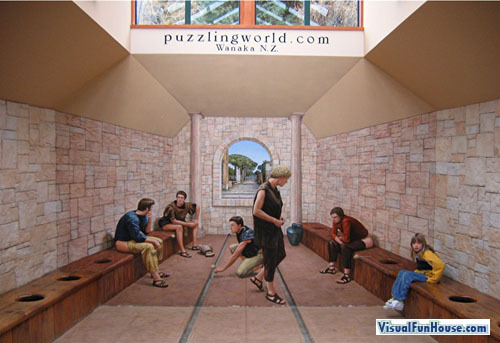 Below are some Great Optical Illusion created by Puzzling World which is an optical illusion attraction located in New Zealand. 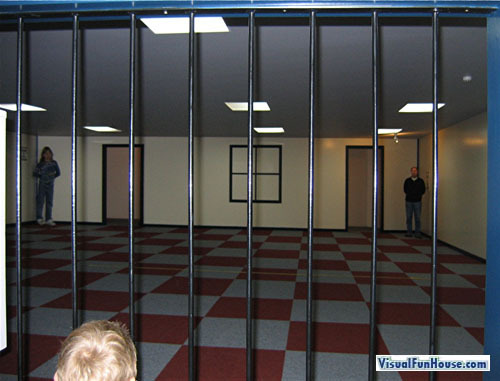 They have numbers attractions, Optical illusion rooms and even a giant Maze (labryinth). The Leaning towers is a great Illusion! The illusion below is call an Ames Room creating the Optical Illusion o objects appearing different sizes in different areas of the room. the last one is a little akward. how is the last one a illusion? 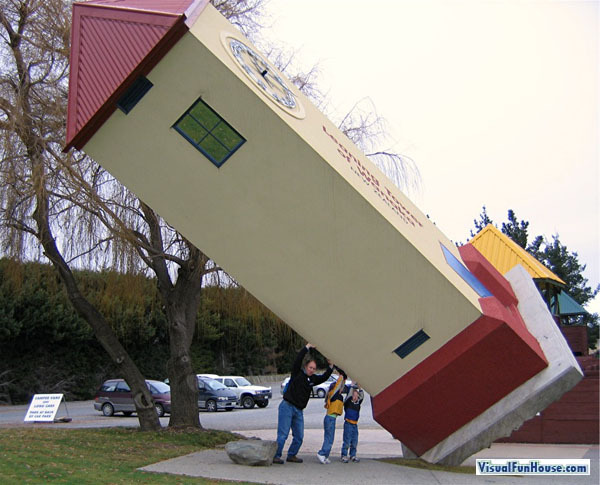 by the way how they tilted the house is when they tilt the camera. they also add a person to to add the illusion. so thats how! ^Person above me, the tilted room isn’t a camera tilted. 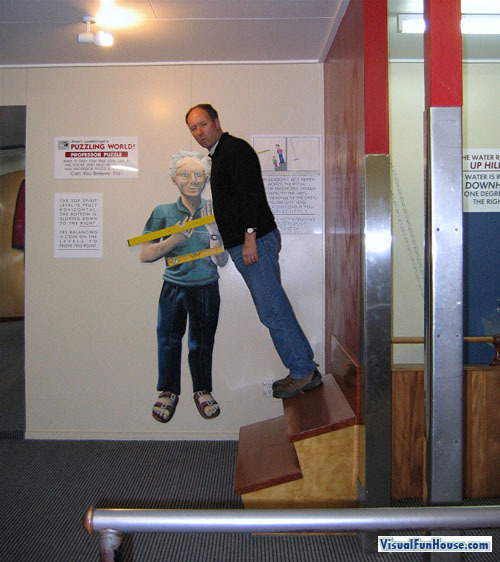 This is in an optical illusion museum sort of thing, where you can just go inside and the room will look like an optical illusion. You can tell the tilted room isn’t an illusion by looking at the botton of the staircase, which is on straight ground. Ohhhhhhh, how did I not notice that?